The cod industry off the coast of Nova Scotia collapsed in 1992. Because of plunging cod numbers the Canadian government banned cod fishing. Cod fishing had been the basis of the area’s economy, worth $700 million. The ban put millions of people out of work. 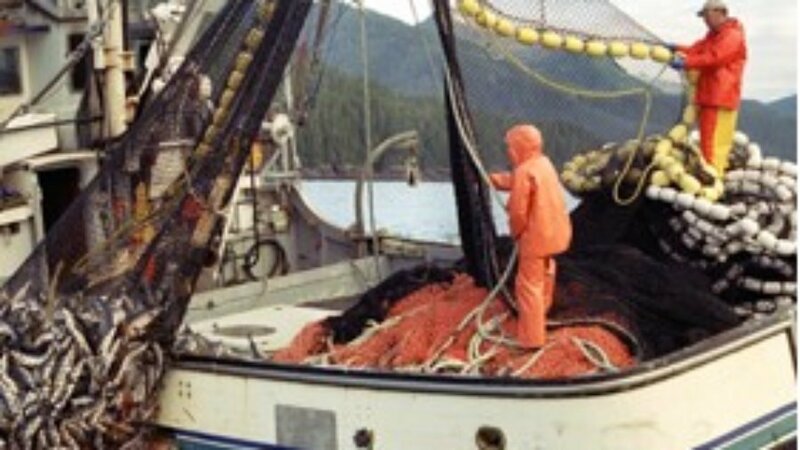 It was out of this event that the idea of the Marine Stewardship Council (MSC) was born, recognizing that government agencies that were supposed to monitor and regulate fishing were not all doing an adequate job. MSC is an independent non-profit founded in 1997 in London to address the problem of unsustainable fishing and safeguard seafood supplies for the future. They do this by the use of blue MSC label and fishery certification program to contribute to the health of the world’s oceans. They want to transform the seafood market by recognizing and rewarding sustainable fishing practices and influencing the choices people make when buying seafood. They work with fisheries and businesses around the world to achieve this. Their program is for wild fisheries and does not include aquaculture production. The MSC website says that as of February 2016, there are over 20,000 seafood products available with the MSC ecolabel, sold in around 100 countries around the world. As of May 2016, there were over 280 fisheries that have been independently certified as meeting the MSC’s environmental standard for sustainable fishing and over 90 are currently undergoing assessment. Around 3,300 companies operating in 34,500 sites have met the MSC Chain of Custody standard for seafood traceability. The public can go to the MSC website and search for sustainable seafood products, suppliers and restaurants that serve MSC ecolabel fish. There are other organizations that have developed rating systems. The Monterey Bay Aquarium labels products like a traffic light- green, yellow or red – to urge shoppers to buy or avoid a particular fish. The Blue Ocean Institute has a similar system. There are some critics of the MSC who say that the system has certified some fisheries despite evidence that the target fish are in trouble, or that the fishing industry is harming the environment. However, even the critics say they support the mission and goals of the organization. With consumers increasingly concerned about where their seafood comes from, how it is handled along the way and that it is sourced sustainably and responsibly, makes the MSC blue label very popular. It tells the public that the sustainable fish and seafood products they are going to purchase can be traced back to MSC certified fisheries.